Love is a curious thing. It has as many meanings as there are people in the world, and these meanings are shaped by culture, family, and personality. Recently, I asked a group of fathers to share their views on the love of a father for his children. Their answers ran the gamut of Maslow’s hierarchy of needs, from simply providing the basic necessities of life to self-actualization. A mother’s definition of parental love is very different and includes much more nurturing. In fact, a discussion on social media posed the following question: “How do you show love to your children?” This simple question initiated a lot of passion from both fathers and mothers who had strong sentiments about their own answers and their own childhood experiences. Fathers have been given a tremendous ability to influence the lives of their children—either positively or negatively. How they model love is generally how their children show and express love. Many things are intergenerational, including modeling love. The saying “like father, like son” contains a great deal of truth. For instance, the way a father shows love to his wife and children is modeled by the son, and the way a father treats his daughter will shape how she views herself and how she expects to be treated by other men for the rest of her life. Fathering with love is much more than providing the basic necessities of life (and leaving it up to the mother to provide the nurturing). Fathering with love includes such things as loving unconditionally, being consistent, offering encouragement, gaining respect, speaking truth, being present, enjoying activities together, being transparent, communicating openly, and showing empathy. As human beings, we all need to love and be loved. More than anything else, children need to know that regardless of what happens or how mistakes are made, their father’s love is unconditional. It is especially important for a daughter to feel her father’s unconditional love so that she won’t feel the craving to find love elsewhere at a young age. We may not love our child’s behavior, but we can love our child as our progeny. Fathers can express love for their children in two ways: by telling them and by showing them. This includes speaking their love language, as actions speak louder than words. (The five love languages are receiving gifts, quality time, words of affirmation, acts of service (devotion), and physical touch.) It is important to let our children know that we will protect them at all costs, including sacrificing our own life for them. Hearing this will help our children understand the deep and unwavering quality of our love. 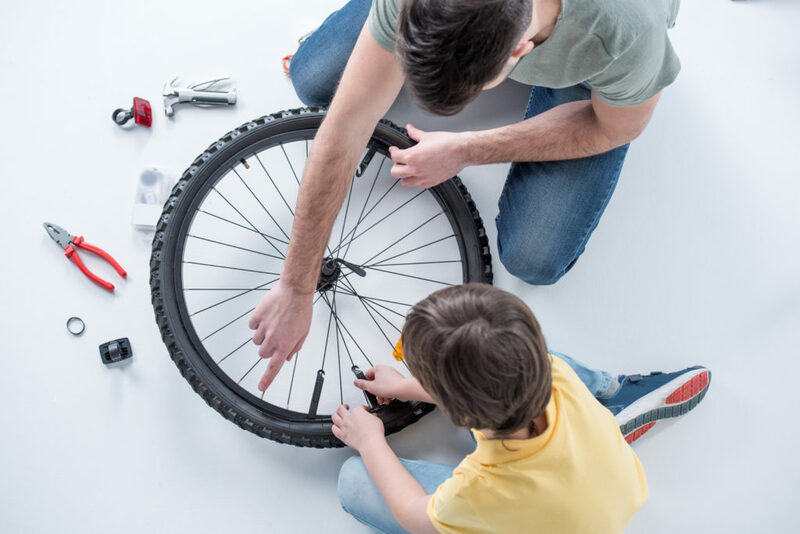 With all of the ups and downs in life, especially during the mercurial adolescent years, it is vital that fathers show love to our children by providing consistency. Steady guidance, a calm and level demeanor, and being present and balanced provide stability that is unequaled elsewhere in their lives. It doesn’t mean taking a “friend first” approach; it means having healthy boundaries and rules while being loving and forgiving when mistakes are made. Some children look to their father to be the rock in their lives when everything else feels like a sandy foundation. Knowing they can depend on their father to always be there for them is critical to emotional stability. 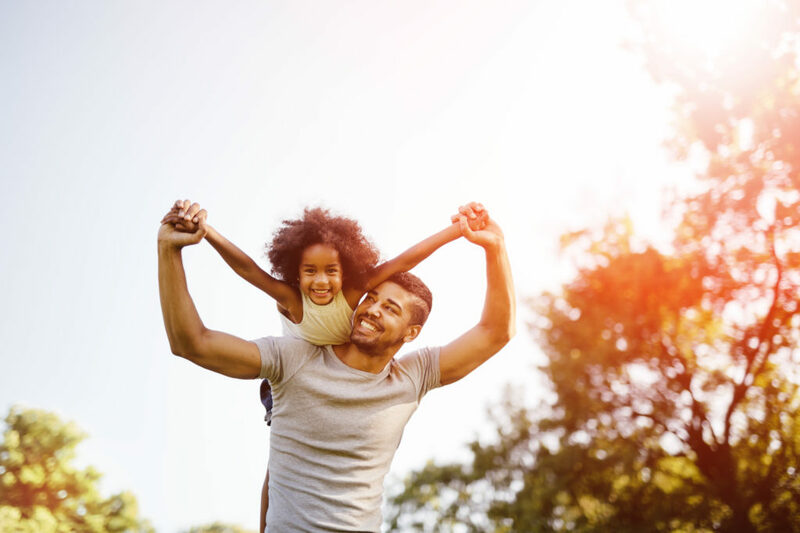 David Schramm, Assistant Professor and Family Life Extension Specialist at Utah State University, outlines the magical nine minutes that can be transformative in the life of a child. They include the first three minutes in the morning, the first three minutes upon returning home from work, and the last three minutes of the day. These nine minutes can be quite tumultuous and frequently end in emotional diatribes, especially when a teen won’t wake up for school in the morning or when a toddler refuse to go to bed. How can you utilize these nine minutes to build a stronger, more loving relationship with your child? I relish the memories of coming home from work to little ones running to greet me and wanting daddy time. For those few minutes, I had the pleasure of focusing all of my attention on them—turning them in circles like an airplane until I was so dizzy I couldn’t stand up, pushing them on the swings, or jumping on the trampoline in a shirt and tie! Fathers can have a tremendous impact and effect on their children, especially in the ways they show and express their love for them. To a child, love is spelled T-I-M-E!